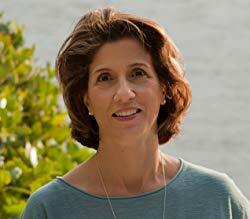 This evening's Shabbat service will feature guest speaker and Nautilus Book Award winner Stephanie Cassatly. Her book, Notice of Release, a Daughter's Journey to Forgive Her Mother's Killer, chronicles her experience of coming to terms w th what it means to forgive in ways that few of us have ever been challenged to imagine. Stephanie teaches literature and writing at Palm Beach Atlantic University in Florida. Her work has appeared in literary journals and anthologies and has won numerous awards and notable mentions.